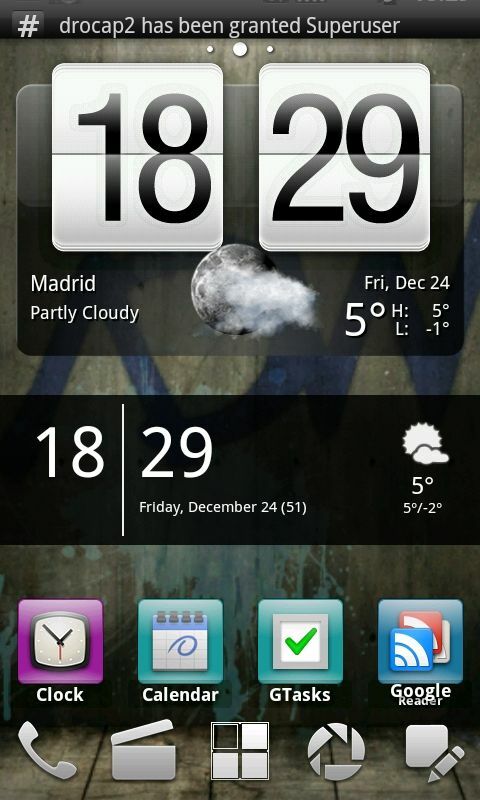 Android powers millions of phones, tablets, and other devices and brings the power of Google and the web into your hands. With an amazingly fast browser, cloud sync, multi-tasking, easy connect & share, and the latest Google apps (and thousands of other apps available on Google Play) your Android powered device is beyond smart. 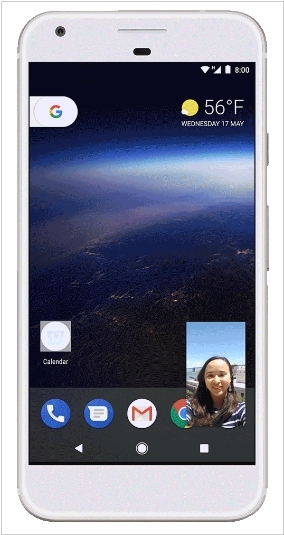 Google has launched a new way for businesses to give new phones to their employees: Android zero-touch enrollment. The idea here is that employees can use a device out of the box, because all the management services and setting are already ready to go when the device is shipped. This means the user only has to sign in, walk through the setup process and start working, and admins don’t have to do any additional work to authorize these devices and add them to their mobility services. 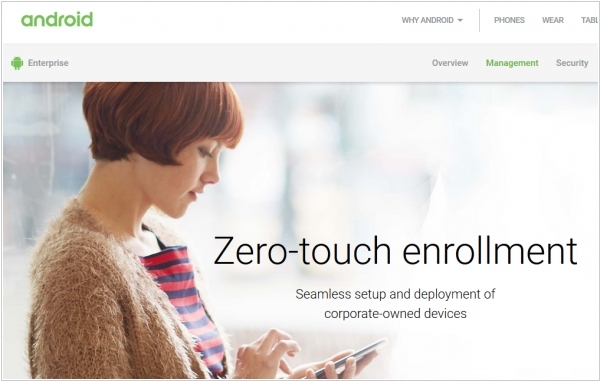 They simply assign the new device to a user and the device will be automatically enrolled with their existing enterprise mobility management solution like VMware’s AirWatch when it’s powered on. For now, this only works with Google’s own Pixel phone though the plan is to expand this far beyond this. Google officially released the new 8.0 version of Android - Android Oreo. Oreo brings notification dots to your phone, so you can see which apps have new stuff for you. It enables picture-in-picture multitasking. Like iOS, Android Oreo gives users more control over push notifications, so your phone won't buzz you every second of every day. It improves Android's battery management, stiffens its security, and speeds up boot processes and text input. It also brings lots of tinker-friendly settings, like alternative lock-screen shortcut and fingerprint scanner gestures. But for now less than 15 percent of Android phones are eligible for the new version. Google is unveiling the new version of its mobile operation system Android 7.0 Nougat with strengthened security features, improved management capabilities and increased user control that can boost productivity for your employees. With Android Nougat, if your company uses VPN, your work network traffic data is better protected from the time a device boots up, thanks to the new always on VPN feature. In addition to new security features, Android Nougat brings the ability to open and resize two Android apps on the same screen gives employees more information to make smarter business decisions while multitasking. It’s easier to collaborate with team members too. Searching for work contacts can be done in both the personal dialer and messenger app. Plus employees have access to corporate directory contacts for incoming calls. 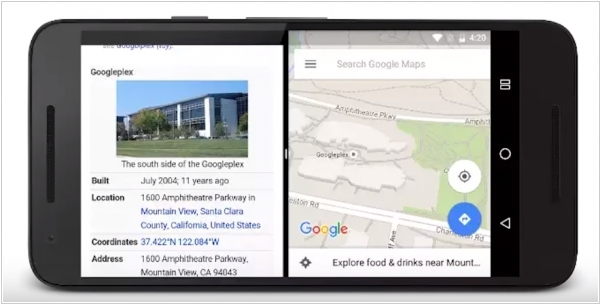 Google introduced the new version of its mobile OS - Android N. It's now available for developer preview. Among the changes in Android N are improved notifications. Using “direct reply notifications,” for example, means developers can now allow their users to reply to incoming notifications right from the notifications shade. 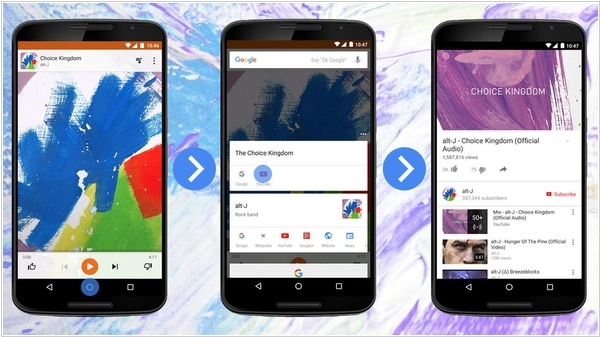 Developers can now also bundle notifications from the same app together. 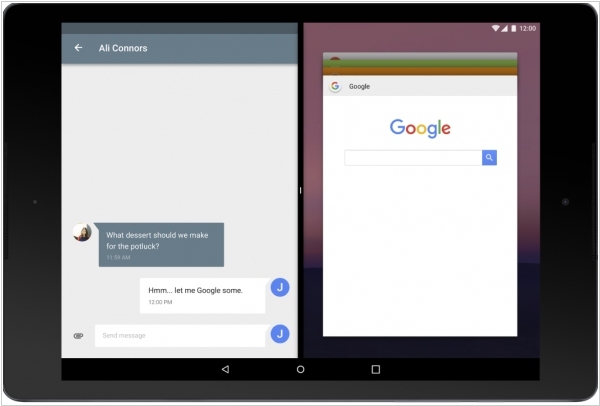 Android N will also offer a split-screen view. Apps that support this will be able to run side-by-side with other apps on both tablets and phones (and developers can set the minimum allowable dimensions for their apps). Multi-windows support is something users have long asked for — especially on tablets. Google’s own Pixel-C, for example, would make a far better productivity device with this feature. The latest version of Android (Marshmallow) marks the debut of Now on Tap, which gives Android users additional information about whatever they're doing — texting, listening to music, reading news - in a single tap. The feature will first be available on Nexus handsets, since Nexus devices are the first to get the Marshmallow update. Think of Now on Tap as an opt-in, supercharged version of Google Now, which proactively provides search results based on your previous behavior. In previous versions of Android, Google Now may have sent alerts for traffic conditions for your commute home or offered up a playlist from one of your music apps as you leave the office.